add juice, zest and sugar to a small mason jar and seal with a lid. Strain out the zest and return to your mason jar. 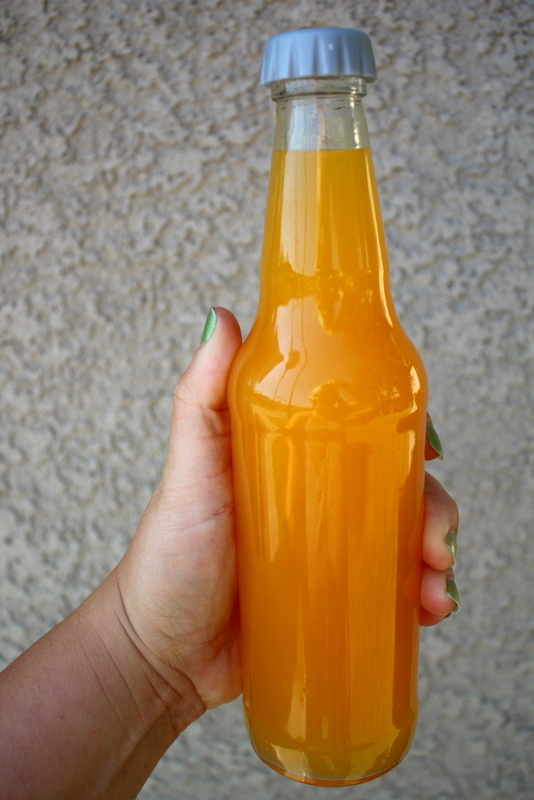 Add your orange zest syrup and carrot juice (for color) to a 16 oz bottle. Add 13 ounces of Plain Kombucha in the bottle leaving a small amount of room (about 1 inch) at the top. Once ready you can drink or refrigerate for storing. Make sure you use good bottles made for brewing.